After all of the fireworks that accompanied creation of the Arkansas Valley Super Ditch, the actual operation has attracted little notice. “We put enough water into the ponds so that no one on the river knows this is happening,” Jack Goble, engineer for the Lower Arkansas Valley Water Conservancy District, told the board Wednesday. Goble gave an update on the Super Ditch pilot program that is providing water to Fountain, Security and Fowler from farm ground dried up on the Catlin Canal near Rocky Ford. The water is accounted for on a dayto- day basis, with deliveries to the cities each month. The response of all participants has been enthusiastic. “With crop values down, they want to fallow more farms,” Goble said. But under [HB13-1248], passed by the state Legislature in 2013, that can’t happen. The law limits 30 percent of the farmland enrolled in the program to be fallowed in any given year, and each farm can be dried up only three years in 10. This year, only 26 percent of the 900 acres on six farms in the program were fallowed and so far have yielded more water than at the same time last year. Through the end of July, the program yielded 239 acre-feet (78 million gallons). That’s on track to beat last year’s yield of 409 acre-feet. But that depends on what happens the rest of this irrigation season, Goble said. Water not used on fields is channeled into recharge ponds, which mimic the runoff and seepage that would have occurred if the farms had been irrigated. The ponds also cover their own evaporative losses. Recharge stations measure the flows on the ditch each day. Those numbers are plugged into formulas that compute the consumptive use — the amount of water crops traditionally grown in the fields would have consumed. 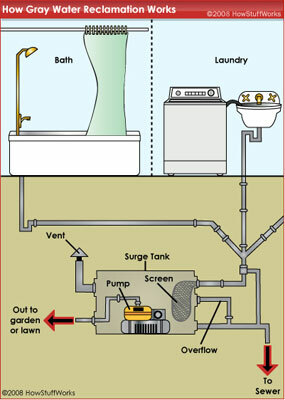 On a monthly basis, the consumptive use equivalent is transferred, on paper, from Lower Ark accounts to Security and Fountain accounts in Lake Pueblo, where it is transported through the Fountain Valley Conduit. For Fowler, the water is moved to Colorado Water Protective and Development Association accounts to augment the town’s wells. “We need to let the water community know, ‘Hey, this works,’ ’’ said Peter Nichols, attorney for the Lower Ark district and Super Ditch. Participants have had to overcome skepticism, opposition and even lawsuits since 2012 to achieve results that have been favorable to everyone involved, he said. Leah Martinsson and Megan Gutwein, of Nichols’ Boulder Law office, are writing articles about the success of the program for national water and legal journals. Nichols also suggested presenting a report on the progress of Super Ditch to Colorado Water Congress and the Colorado Water Conservation Board. A section of the lower Crystal River in late summer 2012. Irrigators and other water users in the Crystal River valley are working toward ways to leave water in the river during moderate droughts. CARBONDALE — In an effort to leave more water in the lower Crystal River in dry years, a growing number of irrigators in the watershed are considering entering into non-diversion agreements and are reviewing ways to deliver water to their crops more efficiently. The agreements would be a product of discussions surrounding the recently released Crystal River Management Plan, which sets a goal of adding 10 to 25 cubic feet per second of water into the river during moderate and severe drought years. The additional water could come from paying irrigators to reduce their diversions by 5 to 18 percent, depending on conditions, and by helping irrigators improve irrigation ditches and installing sprinkler systems. The plan also calls on the town of Carbondale to fix the leaky irrigation ditches it uses to move water from the Crystal River through town and for the town to find ways to get its customers to use less raw water in dry years. And apparently there is progress quietly being made on the plan’s recommendations. “We’re really hopeful about this approach and it has had a pretty good response from the folks that we’ve had the opportunity to speak about it with in the agricultural community,” said Seth Mason, the principal hydrologist at Lotic Hydrological in Carbondale, who was the primary consultant on the river management plan. The plan also cites the potential benefits of a 3,000-acre-foot reservoir at the confluence of Yank Creek and North Thompson Creek, although it notes such a reservoir would cost $9.75 million and it’s not clear who would pay for it. Today there are 25 water diversions on the main stem and tributaries of the Crystal River and together they can pull up to 433 cfs of water from the river system. In really dry years, the diversions can leave a section of the lower Crystal disturbingly dry, even if the water is being used to keep fields near Carbondale refreshingly green. Just how many ranchers and farmers in the Crystal River Valley are now actively weighing their water options is uncertain, as the process to develop the river management plan in concert with local irrigators has largely been conducted in private. But the acknowledgement section of the Crystal River Management Plan released Thursday does list 12 irrigation ditches among the organizations that “informed and advised” the team that developed the new river management plan. 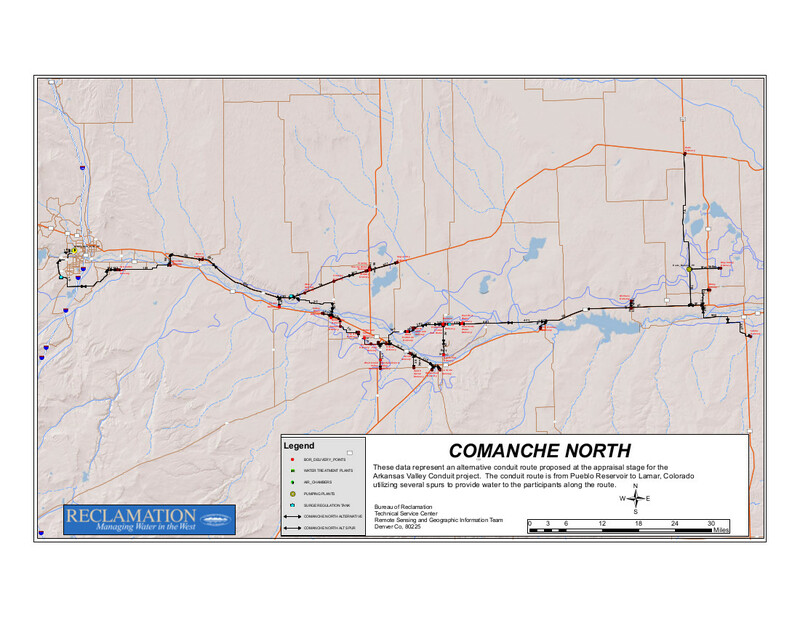 No names of any individual ranchers, farmers or ditch company shareholders are included in the plan, but the ditches that are acknowledged account for the majority of diversions from the lower Crystal. Bill McKee, a rancher and irrigator on the Crystal, has been actively involved in talking with local ranchers about the river management plan and he voiced his support for the plan’s recommendations at Thursday’s public presentation at the Carbondale library meeting room. “In all our discussions, it’s seen as a good time to strike while the iron is hot,” McKee said. A slide from Lotic Hydrological as presented to the Colorado River District on May 23, 2016. The slide summarizes key points in the new Crystal River Management Plan. The planning process for the Crystal River Management Plan started after the drought of 2012 left a section of the Crystal River between Thompson Creek and the state’s fish hatchery, just upvalley of Carbondale proper, with only 1 cubic foot per second of water flowing in it below several diversion structures. That year represented at least a one-in-20-year drought. (On Saturday, May 28 at 10 a.m. the Crystal was flowing at 851 cfs near the fish hatchery). 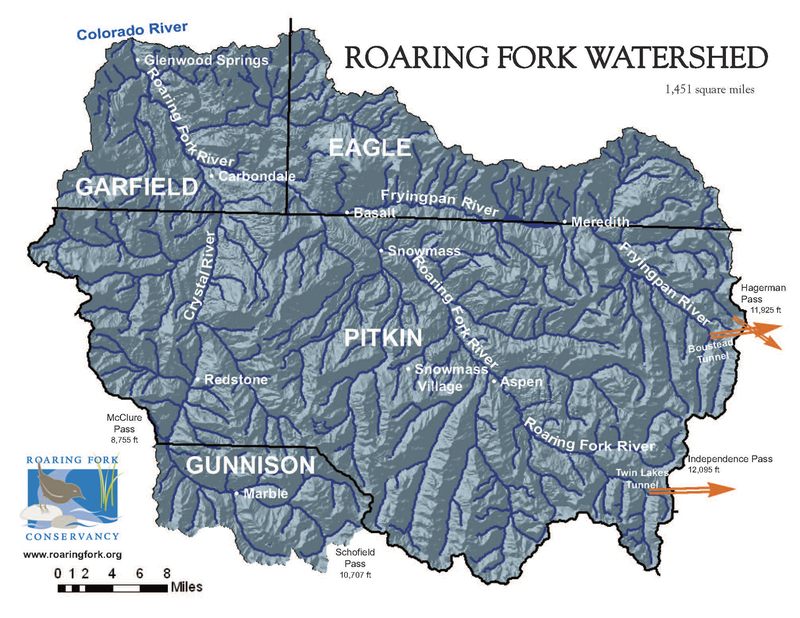 During 2012 staffers at the Roaring Fork Conservancy and Colorado Water Trust began talking with ranchers about ways to leave more water in the river. The Trust eventually reached short-term agreements with seven irrigators to leave water in the river in 2013, which was shaping up to be another drought year. Late-season rains negated the need for the agreements, but the work of the Trust helped provide a foundation for ongoing discussions that shaped the current plan. The Conservancy then contracted with Mason to develop a technical study of the Crystal River and eventually brought in CDR Associates of Boulder to work with stakeholders. Public Counsel of the Rockies, an Aspen-based nonprofit, also joined the planning process and helped raise funds to pay for the plan. The process has taken two-and-a-half years and cost over $300,000, said Rick Lofaro, the executive director of Roaring Fork Conservancy. Before the plan was unveiled Thursday it was vetted by some irrigators, a number of whom are now in active discussions with the Colorado Water Trust about non-diversion agreements, according to Mason. A non-diversion agreement is a tool the Water Trust uses to give irrigators and other water users the option to leave water in rivers under certain conditions and terms, without going through a water court process to change an existing water right. “Such agreements, which used to present risk to water users under Colorado water law,​ are now protected by ​[state] Sen. Gail Schwartz’s bill that passed in the 2013 legislative session, ​Senate Bill 19,” said Amy Beatie, executive director of the Water Trust. A slide from a recent presentation by Lotic Hydrological to the Colorado basin roundtable. The graphic illustrates the drying up of the Crystal in 2012 and four threshold questions posed by stakeholders during a recent river management planning process. Mason helped clarify the situation for many local ranchers with a graphic that illustrates extremely low flows on the lower Crystal in late summer of 2012 in relation to various irrigation ditches. He also developed a detailed scientific study of the Crystal River watershed and a model that could show what would happen in the river under various scenarios. During the planning process, it became clear to Mason and other project team members that many local ranchers were not comfortable attending public meetings that included a bevy of professionals from various organizations. The project team also learned that there were some threshold questions that needed to be answered. One question was whether the periodic lack of water in the Crystal was really “the largest constraint on the ecological function,” as Mason put it. By studying many different aspects of the river, including sediment flows, Mason concluded that yes, having enough water in the lower Crystal River is a key factor in its ecological health. In answering that question, Mason found that using the state’s instream flow right of 100 cfs in summer on the Crystal below Avalanche Creek as a planning goal was unacceptable to local ranchers. “The agriculture community was not interested in talking about the state’s instream flow as the benchmark for ecosystem health,” Mason said. He explained that the 100 cfs figure, which the state adopted in 1975 as the amount of water needed to protect the environment of the Crystal “to a reasonable degree,” was tied to average conditions, not drought conditions, and was therefore unlikely to be met in a really dry year. What was acceptable to water users was working toward a “moderate,” but not “optimal,” level of flow between between Thompson Creek and the fish hatchery during one-in-five-year and one-in-ten-year droughts. They also, notably, did not set a goal of reaching moderate flows in a one-in-20-year drought, such as 2012. Mason concluded that during a severe one-in-10-year drought, an “optimal” flow level in the targeted stretch of river was 55 cfs, and a “moderate” flow level was 44 to 55 cfs. During a one-in-five-year drought, he found the optimal flow level was 58 and moderate flow level ranged from 46 to 51 cfs. To fill the expected gap between low river levels and the targeted moderate flow levels, the plan calls for 25 cfs to be left in the river from non-diversion agreements in a 1-in-10-year drought, and for 10 to 15 cfs to be left in the river in a one-in-five-year drought. A slide from Lotic Hydrological that illustrates the targeted flow rates for dealing with moderate and severe droughts on the lower Crystal River. After developing a solid scientific foundation and a model to help answer “what if” questions, Mason then developed options for each major irrigator on the Crystal. These ditch-by-ditch options are not included in the plan, but Mason has been working with willing irrigators to help them understand how a non-diversion agreement might work for them, especially if they are joined by other water users. The plan also calls on the town of Carbondale to take steps to reduce its diversions from the river, along with the agricultural community. Those steps include lining more of the town’s irrigation ditches to prevent leaking of water and using market forces to curtail use of raw water in dry years. The new Crystal River Management Plan could be a potential model that could be used to develop other stream management plans, as the state’s recently released Colorado Water Plans calls for such plans on 80 percent of the state’s rivers. James Eklund, the director of the Colorado Water Conservation Board, which produced the state water plan, complimented the planning process in the Crystal River valley. Editor’s note: Aspen Journalism, the Aspen Daily News and Coyote Gulch are collaborating on coverage of rivers and water. The Daily News published this story on Sunday, May 29, 2016. Arkansas River issues took center stage at this week’s meeting of the Colorado Water Conservation Board at Otero Junior College. Conservancy District to introduce new water banking legislation. 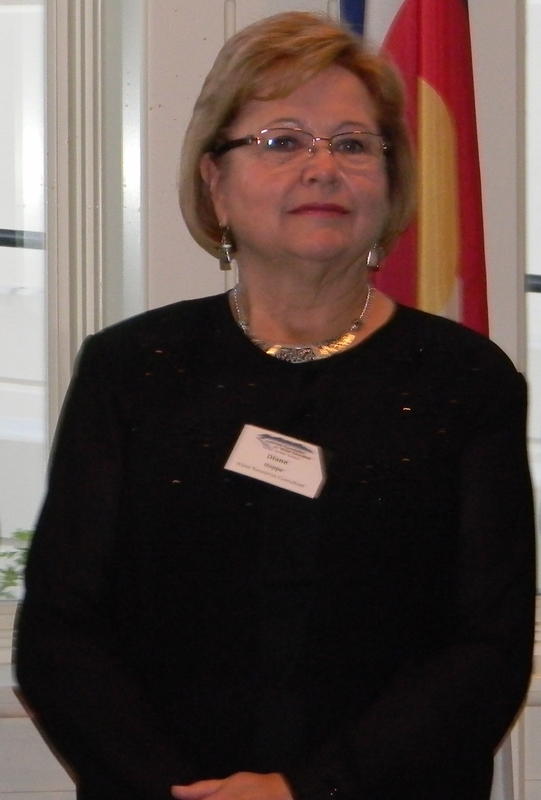 The board paused for about an hour Wednesday to remember Diane Hoppe, who chaired the board until her death last month. Hoppe was a former state lawmaker who had been active in state water issues for more than 30 years. On Tuesday, the CWCB staff and board toured the Catlin Canal, a channel-clearing project at North La Junta and a flume-replacement project on the Fort Lyon Canal. The Catlin project is overseen directly by the CWCB under HB1248, which allows the state to do administrative water transfers without changThe Lower Ark district is championing the Super Ditch as a way to allow farmers to keep water rights while leasing some water to cities. In the Catlin project, river flows are augmented by releases of water stored in Lake Pueblo and recharge ponds that have been built on farms. Cropland is dried up for no more than three years in 10, and the water is leased to Fowler, Fountain and Security. At Wednesday’s session, Lower Ark attorney Leah Martinsson explained new legislation that would expand the concept to allow the CWCB to administer small transfers of water through a new kind of water bank. Past efforts to establish water banks relied on storage, while the new concept would allow direct flow rights to be leased. “This is a different kind of tool,” Martinsson said. The bill, not yet numbered, would be sponsored by Democrat Reps. Jeni Arndt of Fort Collins and Ed Vigil of Fort Garland and Sen. Larry Crowder, R-Alamosa. Like HB1248, the new law would put a 3-in-10 year limit on dry-ups, require approval by the state engineer and prohibit transfers out of basin. It would rely on court-approved rules to allow transfers, but would not create a new kind of water right. It covers small transfers over a 10-year period to avoid large-scale speculation, Martinsson said. The draft bill released to the CWCB is 19 pages long and fairly complex. CWCB member Patricia Wells asked whether the board would be expected to review many small transfers using such complicated criteria. Martinsson replied that the rule-making process and ongoing review by the state engineer would simplify the process. Peter Nichols, Lower Ark and Super Ditch attorney, said the proposed water bank would be more useful to farmers than existing statutes, giving them flexibility without altering water rights. 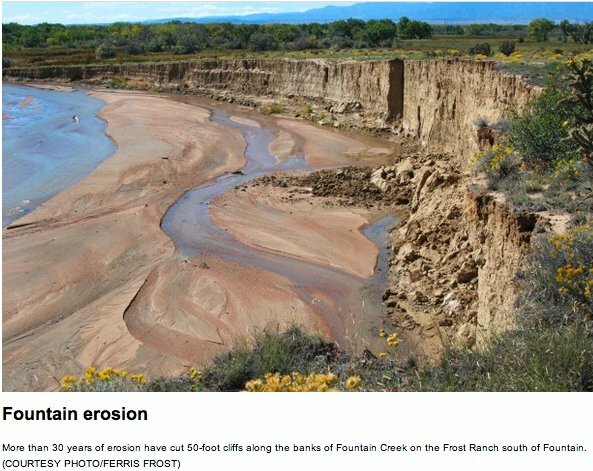 Visions, studies and arguments over flood control on Fountain Creek have consumed attention in El Paso and Pueblo counties for the past decade. Real work may finally be just around the corner — give or take a few bad floods. The Colorado Water Conservation Board gave its approval this week to a $41,800 grant that will be added to $37,500 in local funds to begin evaluating potential sites for a dam or other flood control structures on Fountain Creek between Colorado Springs and Pueblo. Like the creek itself, getting even to this point has been a meandering process, hitting snags and jumping out of the channel, as Larry Small, executive director of the Fountain Creek Watershed Flood Control and Greenway District explained to the CWCB. After a study last year confirmed flood control on Fountain Creek could be attained without harming water rights, the district moved to the next step of identifying where structures might be located. The existing study by the Army Corps of Engineers is limited to big projects and more than 40 years out of date. The water rights issue doomed an earlier grant request at the Arkansas Basin Roundtable. Since then, the state Legislature passed a law that allowed storage of flows for flood control for up to 72 hours, except on Fountain Creek. The Fountain Creek district completed its study of water rights last year, however, and it passed roundtable scrutiny. The preliminary work is needed as the Fountain Creek district prepares to receive $50 million over a five-year period specifically for flood control projects to protect Pueblo. The district is looking at the money to leverage more funding that would be needed to complete at least $150 million in projects already identified in plans. The $50 million is a condition of a 1041 permit issued by Pueblo County for construction of the Southern Delivery System pipeline from Pueblo Dam to the El Paso County line. A Grand County rancher has become the first person in Colorado to use a 2013 state law to intentionally leave water in a stream without fear of diminishing his water right. Working with the Colorado Water Trust , Witt Caruthers developed a plan to curtail diversions from Willow Creek when its flows drop to critical levels. The additional flows will benefit half a mile of Willow Creek and then four and a half miles of the upper Colorado River before encountering the next downstream diversion, where another water user could potentially take the water. This stretch of the Colorado River has been heavily impacted for decades by upstream diversions across the Continental Divide to Front Range cities and farms. The 2013 law, Senate Bill 13-019, allows some Western Slope water right holders to reduce their water use in up to five out of any consecutive ten years without having the use reductions count against them in water court calculations of “historic consumptive use.” This reduces the “use it or lose it” disincentive for conservation in Colorado water law. The law applies only to water users in Colorado Division of Water Resources Divisions 4 (Gunnison River Basin), 5 (Colorado River Basin) and 6 (Yampa, White and North Platte River Basins). In order to qualify for the law’s protections, the water use reductions must be the result of enrolling land in a federal land conservation program or participating in an officially-sanctioned water conservation or banking program. The Colorado Water Trust has also pioneered the use of other voluntary and market-based tools for landowners to share water with streams without diminishing their water rights. These include a 2003 law that created a streamlined process for water users to make short-term leases of water to the state for environmental purposes. The Trust first used this tool in 2012 by brokering a deal to support flows in the Yampa River. It has since been used in several other places. Support and funding for such innovative water conservation efforts is rising as Colorado and the other states and cities that share the Colorado River are seeking ways to prop up water levels in Lakes Powell and Mead in the face of long-term drought. A groundbreaking 2013 Colorado law provides new flexibility that allows water rights owners to allocate water to a river during times of critical low flow. In the Colorado River headwaters, just outside of Rocky Mountain National Park, Willow Creek is providing a test case for the new law. There, Witt Caruthers, a ranch owner with rights to divert a portion of Willow Creek’s water, decided to develop a plan allowing him to leave water in the creek for up to five years during a 10-year period—without the threat of the “use it or lose it” provision. The water for Caruthers’ ranch, which is delivered through two irrigation ditches not far from where Willow Creek meets the Colorado River, fills stock tanks for cattle and irrigates 70 acres (28.3 hectares) of pasture. Typically, the diversions begin in May and continue through late summer. By that time, rivers and streams that rely on snow melt are running low – and after diverters take their share of water, many streams are at risk of running completely dry. Such was the case with Willow Creek. For Caruthers the conservation project offered a chance to do something positive for Willow Creek and to set a precedent for other rivers in the drought-stricken West. Caruthers and his partners worked with the Denver-based Colorado Water Trust (CWT) to design the project. It essentially involves curtailing diversions from Willow Creek when flows drop dangerously low. Because there are no other diverters immediately downstream, the enhanced flows will benefit not only the lower half mile of Willow Creek, but also some 4.3 miles of the upper Colorado –including populations of brook and brown trout. Although the project restores only a small volume of water to the stream, that additional flow at crucial times of the year can help keep Willow Creek connected to the Colorado River, enhance water quality, and sustain fish and other aquatic organisms. This past June, the chief engineer of the Colorado River District approved the CWT-Caruthers conservation program. The Willow Creek project also sets a precedent that could be a game-changer for other Colorado rivers, as well as for farmers and ranchers that have the ability to use less water and share any surplus with a river. For those who desire to balance economic productivity with recreation interests, fish and wildlife needs, and community benefits, this new law offers a positive step forward. “It is one of the most straightforward programs the state has ever created to allow flexibility in water use,” Beatie continued, “and it has potential to benefit entire water user communities that are interested in collaborating to keep water in the river. This 2013 Colorado law provides added flexibility and longer-term benefits for rivers than a 2003 state law that was designed to ensure that rivers aren’t denied water when they need it most. The 2003 law was first tested during the drought of 2012 on the Yampa River, another upper Colorado tributary and the heartbeat of the popular tourist town of Steamboat Springs. That law allows farmers, ranchers and water districts to temporarily lease water to rivers and streams in times of need. The following year, CWT and partners replicated that leasing approach on several other rivers, including the Fraser, another headwater tributary. The Fraser suffers not only from low flows during droughts, but also from trans-continental tunnel systems that divert its water to the Denver area. Colorado’s 2013 law also gives water-rights protection to participants in the Colorado River System Conservation Program, an $11 million pilot initiative of the US Bureau of Reclamation and the water agencies supplying the four largest cities drawing upon the Colorado River – Denver, Los Angeles, Las Vegas and Phoenix. Some $2.75 million will be spent in the upper Colorado River Basin. Although a small step for the restoration of the state’s rivers, Colorado’s new law breaks important new ground. And it may just inspire other western states to add flexibility to their systems of water rights so that more rivers can keep flowing. Sandra Postel is director of the Global Water Policy Project and Freshwater Fellow of the National Geographic Society. Todd Reeve is CEO of the Bonneville Environmental Foundation. They are co-creators of Change the Course. Change the Course, a partnership of National Geographic, Bonneville Environmental Foundation and Participant Media, provided funding to support the flow restoration projects in the Willow Creek, Fraser and Yampa Rivers. A three-pronged approach to restore local water flows got a shot in the arm on Tuesday when Pitkin County supported a $35,000 Healthy Rivers and Streams grant to help a Front Range nonprofit’s plan to keep more water in the Roaring Fork River. The project looks to provide a pathway for water right holders to leave more of their allocation in the Roaring Fork without being penalized, and assess availability of other water sources to combine the total for maximum benefit for the river. The Denver-based Colorado Water Trust is spearheading the project, which aims to extend a non-diversion agreement for the city-owned Wheeler Ditch; look into the utilization of up to 3,000 acre-feet of water that would otherwise be diverted through the Independence Pass Transmountain Diversion System to bolster flows near Aspen; and study ways to use more water in Grizzly Reservoir to benefit the Roaring Fork. The funding will go toward coordinating the project; the completion of a feasibility analyses; forecasting instream flow needs for the upcoming irrigation season; performing outreach; and monitoring and reporting of streamflow and project benefits, according to a supplemental budget request from Lisa MacDonald, of the Pitkin County Attorneys Office. Aspen City Council partnered with the Colorado Water Trust in 2013 on a one-year Wheeler Ditch non-diversion agreement to improve streamflow conditions on a section of river that flows through the city. This area stretches from the ditch, which is located near the eastern edge of town, down to the Rio Grande Park, the CWT grant application noted. The agreement was also renewed in 2014. When the water level in the river fell below 32 cubic feet per second (CFS), the city reduced the Wheeler Ditch diversions to keep water in the river, leading to an increase of about 2 to 3 CFS from mid-July through the end of the irrigation season. Under the new proposal, this Wheeler agreement would be extended for 10 years, but only five of those years are covered under SB-19. The water trust’s hope is that once others with water rights see the success of non-diversion agreements, they too will allow more water to remain in the Roaring Fork without penalty. Beatie added that the city of Aspen has given the CWT a “resounding thumbs-up” in its efforts. Beatie said a right to 800 acre-feet of water in Grizzly Reservoir was acquired in a settlement by the Colorado River Water Conservation District in an application for a junior right enlargement. John Currier, chief engineer with the Colorado River Water Conservation District, explained that out of the first 2,400 acre-feet that’s diverted in any given year under the junior water right, 800 goes to the river district. “Through agreements with the city and county, that water is to be used in various ways, primarily for instream flow purposes,” he said. Currier added that the real task of the overall project is figuring out how to marry the three sources and maximize the benefit. The CWT then intends to investigate how to best utilize the Grizzly water to enhance Roaring Fork streamflows, especially in years in which the Wheeler Ditch isn’t being diverted. “The remaining water is to be stored either in Grizzly Reservoir in a Colorado River Water Conservation District account (up to 200 acre-feet) or held in [Twin Lakes Reservoir] storage,” the application continued. Commissioner Steve Child asked if Grizzly Reservoir could be enlarged to provide more water on the West Slope. In the third part of proposal, known as the “exchange,” the CWT will also investigate, in partnership with the water district, how to restore flows via the Independence Pass Transmountain Diversion System. This could provide up to 3,000 acre feet of water “in exchange for equivalent bypasses from the headwaters of the Roaring Fork River,” the CWT grant application noted. But Beatie said that while this arrangement has been implemented, it’s never been formally approved. The Pitkin County commissioners supported the HRS grant allocation for the project, and praised the city’s involvement. Dave Nixa, vice chair of the Healthy Rivers and Streams Board, said data from this project could provide a huge opportunity to increase local flows, calling it the most comprehensive grant request that HRS has ever received. April Long, stormwater manager for the city, said Aspen is looking at creating a river management plan for the Roaring Fork, calling it a top priority. “It’s something that we’ll be working with the county very closely on, and all the other stakeholders in the suburb section of the watershed in the next two years to develop an operational river management plan for how we can maintain flows in drought years,” she said. The CWT had already attained a matching grant from the Colorado Water Conservation Board, and the total budget for the project is approximately $70,000, according to a letter from Beatie to the HRS board.